When most people think of dog obedience training, they only associate it with classes at a dog school. While these scheduled sessions are definitely important, it’s equally important to incorporate the training your dog has had into your everyday lifestyle. Although a dog can easily live without learning a single obedience command during it’s lifetime, teaching obedience commands to our dogs can make communication easier with them. Sit, Down, Recall, Place and Heel are some common obedience commands frequently taught to dogs.We offer in-home dog obedience training programs in Columbia, SC, and surrounding areas work for any dog, no matter the size or the breed. Not only will your dog learn important obedience commands, they will also learn how to have a calm mental state when needed. How Soon Can Dogs Learn Obedience Commands? You can begin teaching dog obedience commands as early as 8 weeks old, but don’t expect too much out of a puppy that young. Let’s say you tell your dog to Sit several times and they don’t do it. You have the option to enforce the known command or not. Maybe you’re busy doing something else and decide to allow your dog to slide with not listening because it’s no big deal right? The truth is that allowing our dogs to ignore our requests can be a slippery slope into having a dog who gradually listens to us less and less. If you know that you don’t always follow through with what you ask of your dog, it shouldn’t come as a surprise when they decide to ignore you. 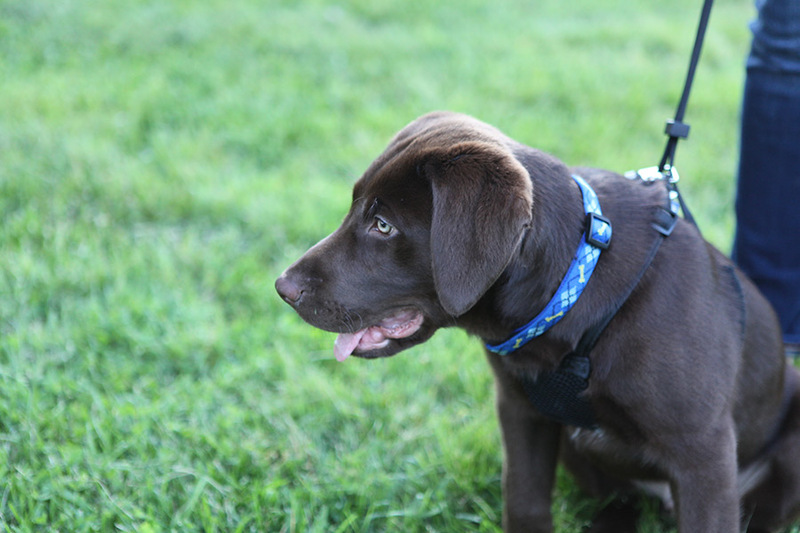 How Well Does Your Dog Know Their Obedience Commands? A lot of dogs know the concept of obedience commands but only do it when nothing else more interesting is happening. Teaching dogs the concept of a behavior is actually the first thing we do to get them familiar with what we want, but from there we need to make sure the command is really known. A good way to see if your dog really knows their obedience commands is to test them under distractions. If all of the training your dog knows in quiet environment falls apart when faced with a distraction, there’s a good chance that they don’t really know the command. The good news is that with lots of practice you can have a dog who listens to you anywhere. It’s important to have a reward that is valuable to your dog when teaching them new things. Food is a common reward used, but a lot of people run into the issue of only getting their dog to listen when they have food. One way to get around this is to make sure you have a way to enforce commands no matter what. This is achieved by utilizing other tools besides food to achieve what you want. In the beginning of training, we offer a food reward after every repetition, then gradually make the dog work harder and harder to get the reward. Eventually, food is used very sparingly to keep things interesting.